Thanks to Ernie Cruz for this great display. 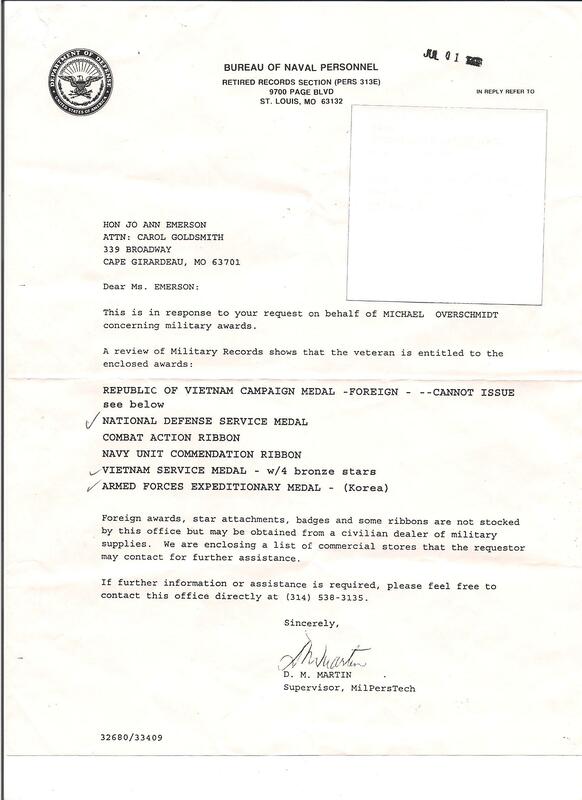 Thanks to Michael Overschmidt for this additional information. Medals from left-to-right are the Asiatic-Pacific Campaign Medal, the World War II Victory Medal, the Philippine Liberation Ribbon, and the Philippine Presidential Citation Ribbon. Medals from left-to-right are the National Defense Service Medal, the Korean Service Medal, and the United Nations Service Medal. 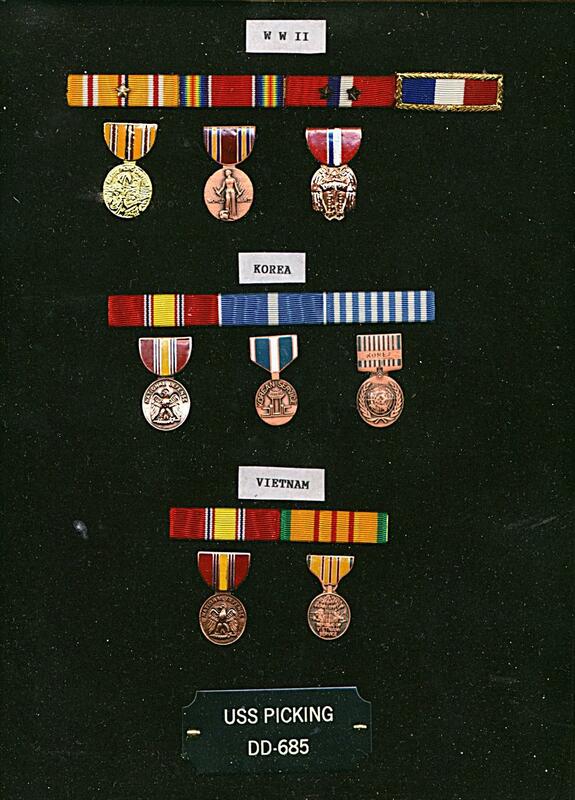 Medals from left-to-right are the National Service Defense Medal and the Vietnam Service Medal.